Former vice president of the Egyptian Petroleum Authority Medhat Youssef told Ahram Online that Egypt has nothing to fear over the ongoing renegotiations of the Cyprus natural gas deal, noting that it is a normal procedure that should be undertaken if there is a change in the market, including oil prices. Youssef added that the changes in the agreement that may happen will only guarantee benefits for every side involved including Egypt, Cyprus, and foreign investors. The Cypriot Energy Minister Giorgos Lakkotrypis said last week that the consortium wants to renegotiate deal terms because current, lower global oil prices don’t make the preliminary agreement to sell Aphrodite gas to a Shell-operated processing plant in Egypt viable, according to Cyprus Mail. "If all goes as planned, natural gas will start flowing to Egypt in 2022," the minister stated. Youssef said "Egypt is the best hub for Cyprus to export liquefied gas to Europe," adding that an alternative to Egypt will be very hard to find in the short term. He suggested that the agreement will very likely be successful. The existing preliminary agreement involved connecting the Aphrodite field with Egypt's liquefaction plants in Idku and Damietta through an underwater pipeline worth up to $1 billion. Currently, brent crude oil is traded at around $70 a barrel, down from over $100 per barrel four years ago. Lakkotrypis added that the current plan is contingent on talks between the Cypriot government and a consortium consisting of Texas-based Noble Energy, Israel’s Delek, and Royal Dutch Shell, who are all looking to renegotiate the financial terms of their contract for the field, according to Cyprus Mail. “The best option is to try and find a mutually acceptable solution with the consortium so that the Aphrodite reserve is developed as soon as possible,” the minister said, adding that the development of the reserve would have a lot of financial and geopolitical benefits. 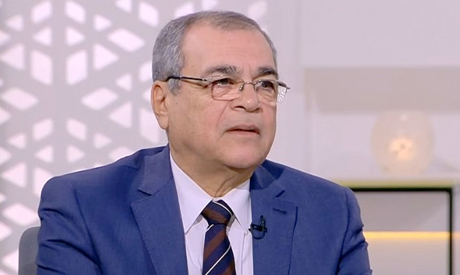 Former vice president of the Egyptian Petroleum Authority, Salah Hafez, told Al Ahram Online that such a deal is needed for Egypt to capitalize on the potential production of Egyptian gas liquefaction companies who are working far from their full capacity. "Should the deal go through, Egypt will gain a lot of revenues from the difference of the import price of the natural gas from Cyprus and the export price of the liquefied one," he said. Egypt seeks to be a natural gas collection hub for Cyprus, Greece, Israel, Palestine, and, potentially, for Lebanon. Oil minister Tarek El Molla had previously said to El Watan that Egypt would reach natural gas self-sufficiency by January 2019 as it piles up production from the Zohr gas field and other projects. He added that there remain no specific targets for how much natural gas Egypt should be exporting noting that it will not be “large quantities” since fulfilling domestic demand remains the top priority. The minister said that Egypt is targeting about $10 billion in foreign investment in the oil and gas sector for the 2018/19 fiscal year that began in July, according to Reuters.